This is a picture of Caroline Nosseck, half sister of grandfather John Sperl. Caroline was married twice, the first ended in the death of her husband and she remarried. The second marriage lasted a lifetime. I am not sure which marriage this was, but I think it was the second. I do not I do not know the names of the others in the pictures. But I love the dresses and flower arrangements. I will have to ask my cousin Julie. Caroline is her grandmother. Julie said it was her grandfather William Aheimer and they were married January 26, 1928. This is a photo of three children of Katharine and Anton Sperl. Three children who died within a year must have been very difficult for them. They had another son, born in 1899 who was also named John, who was my husbands grandfather. This cemetery is St Anthony’s Catholic Cemetery located in Shaler Township, which is a suburb of Pittsburgh PA.
Well, I saw the intro and after everyone's impression with the site, I decided to try it again. Initially I thought it reminded me of the movie Inception. I must admit it was visually great. But, when I tried to visit the site of the LDS within it Foxfire told me it could not open it because it did not know the program with which to open it. Did anyone else have this message and if you opened the program which program did you use? I am now intrigued and disappointed at the same time. Perhaps it is because my computer is six going on seven years old. Really, it is. It is my goal to see how long I can keep this going. I do find that a few programs cause problems if I download them and it is not as fact as could be. WISDOM WEDNESDAY DON’T GET ON THERE. In the vague recesses of my temporal lobe, I remember. I suppose you have to be in your fifties or sixties to remember this. When I think of it today I am astounded that this was even done or how they thought it was a good idea. She would holler “Don’t get on there, get off of there.” I suppose you were to get the best fit. Looking at that today it still amazes me that this was a source of major radiation and who knows the REMS that were passed out to trusting and unsuspecting customers. Gerda, you were very wise to not trust the unknowing. This is the wedding picture of Chucks parents. It was December 30, 1941 The had met in the summer and married in few months. I was surprised how they could get done all that planning in such a short time. Joe was working for an arsenal during the war and his job was considered important and he did not get drafted. My neat and handy find is DROPBOX Did you ever go to research and find you need a document that you do not have? This will solve the problem, and it is FREE. Click on the link and watch the video and then download the program. You set it up for private (genealogy documents) or to share (would be good for vacation photos). Set up the icons on your desktop and then click on a folder, copy and paste. It is also good if you should happen to have a hard drive failure or lose you flash drive that contained your precious information. I love little tecki things. My madness happened yesterday. I broke another major brick wall. The Madness part came in place today when I read a tip on the Kim Komando newsletter when a person wanted to know when the photos were taken. The whole family said that our great grandfather Thomas Dowd was born in County Mayo, and as I found out he was born in County Galway. It took me a long time to verify, because I believed what the family tradition had said. If I had not sent for his death certificate (I know I should have done that first and it took me awhile to do it) I would still be here with My Theory that the young women (Nora and Catherine Dowd/Doud) were his sisters and now I KNOW they were. I have to peruse the GLINSK CHURCH RECORDS to see if I can find Richard Fitzmorris and determine if he was a nephew of my Great Great Grandmother Catherine Fitzmorris. I am mad with joy. Today after finding John Dowd (Doud) and Catherine Fitzmorris I stumbled up GLINSK BAPTISM RECORDS and it does indeed have Baptism records including the ones of my Great Grandfather Thomas Dowd. This is part one of three but it also has listed a few siblings of Thomas. John Dowd 4 April 1862. Maria Dowd 28 August 1864, Catherine Dowd 2 July 1868 and Honoria Dowd 21 August, 1870. There is allegedly a brother Michael who moved to Cleveland or Chicago after emigration. I have to find him…..
Thomas had two women who I had a theory that were his sisters, Catherine and Nora. There were about the same age and married here in the USA. Catherine married Thomas Mulroy and Nora married Cummins Finnerty. They were sponsors for Thomas and Bridgets children and at one time lived next to each other in North Braddock PA.
One of my Cousins said that the family would visit some relative in New Jersey PA, and I am wondering of that was John Dowd who was three years younger than Thomas. Thomas Dowd, information from the death certificate, as supplied by his wife, Bridget Naughton. Birthday 12 May 1858. I have found birthdays from 14 March 1860 to 12 May 1859. Father listed on death certificate. John Dowd, birthplace County Galway, Ireland. Mother listed on death certificate. Catherine Fitzmorris, birthplace County Galway, Ireland. A search of the Irish Family History Foundation revealed a marriage 24 February 1857, in the Parish of Glinsk, County Galway of John Doud and Catherine Fitzmorris. Witness were Patrick Morris and Cecelia Fitzmorris. Baptism Thomas Doud 7 June 1859, parish Glinsk, County Galway. This would be about one month after Thomas birth. Sponsors Patrick Doud and Honoria Dowd. Were Patrick and Honoria married? Were they siblings of John Doud? What makes me think that this is true is on the information from the Diocese of Pittsburgh for sponsors for the Dowd children listed a Richard Fitzmorris and a Richard Fitzmaurice. Is this my grandfathers Uncle? I have found no Sweeney names among the list of sponsors. What I need to do is find out how to get the whole record with all of the births in this family. This is the April 1918 wedding on my husbands grandparents (seated) John C Sperl, age 19 and Mary Elizabeth Stephens, age 18. In the back row was one of John’s brothers, either Joseph or Charles, and Mary’s sister Irene Stephens Scheuring. I have decided to do this great date chasing caper. My father said his grandfather (Thomas Dowd) was born in County Mayo Ireland, this was also collaborated by a few cousins that I have met thru genealogy. On his marriage license application, in October 1889 in Pittsburgh-Allegheny county, it lists his birthday as 14 March 1860. On the Irish Family History Foundation is lists Thomas Dowd, Mayo County, Baptism in April 1860 with parents Thomas Dowd and Cate Sweeney. That is the only Thomas Dowd in Mayo County in that time frame. On the 1900 census it gives a birthday as March 1858 with his immigration in 1880. He and Bridget Naughton have been married ten years. Bridget’s birthday on her marriage application was listed as 25 March, 1867, cousins said she was also from Mayo County. On the LDS site it has a record of Bridget Naughton with birthday of 25 March 1868 with parents listed as Thomas Naughton and Catherine Ward. On the 1900 census her birthday is listed as March 1866. 1910 census census Thomas is listed as birthday about 1865 and naturalization in 1882. Bridget’s birth about 1867. 1920 census Thomas is 55 years of age, meaning he was born in 1865, and Bridget is 43, being born in 1877. Bridget became naturalized in 1903. 1930 census, taken on April 12, 1930, Thomas had died on 18 March 1930, just about a month earlier. Bridget’s age is 63 and living with her is listed Mary R granddaughter. Whose child is Mary R? Bridget is unable to read or write. Death certificate information. Thomas Dowd, born 12 May 1858, County Galway Ireland. Father John Dowd, County Galway Ireland and mother Catherine Fitzmorris, County Galway Ireland. Thomas date of death is 15 March 1930, cause of death pneumonia, at age 71. Information supplied by Bridget Dowd. Bridgets death certificate information, date of death 2 January, 1939 also from pneumonia. Father listed as Thomas Naughton and Nora Nee, supplies by her son Richard Dowd. Thomas Dowd 1892, Catherine 1893, John 1896, Nora 1896, Mary 1898, Richard 1900, Agnes 1903, and Theresa 1906. A really handy dandy thing I have found is an Add On for Firefox. It is called SCREEN CAPTURE ELITE It will take a picture of a page on you can save it as a complete page, visible page, or a selection. There is a small camera icon on the right of the task bar on the bottom of your screen. Right click and the a cross appear and you choose where you want to store the screen shot. It is free and works with Firefox. You can store it on your desktop or in a file folder. I store it on my desktop and then move it where I want. I find it great if you are not connected to a printer and you want to save things like bank statements, registrations to hotels or things your buy. It is also good to capture anything related to genealogy, records or anything interesting information. You can review what you have saved later and decide if it is relevant or not. Paper and ink is saved and you only print what is necessary. I remember 9/11 because I was off that day. It was a cool, crisp and bright sunny day. I met my husband at the local family restaurant for breakfast. We always take two cars because he like to sit, relax, drink coffee, and read the morning paper and I am ready to go after I eat. After breakfast I went home to watch the television and viewed it with disbelief. The whole world seemed to have gone mad. I had a hair appointment that morning at 10 and another client came in and announced that the Pentagon had been hit and a plane was hijacked. Back home and more news about an airplane crash not too far from Pittsburgh in SHANKSVILLE PA The rumors were crazy, was it a crash, was it terrorism. The truth be told, by that time the passengers had heard of the strikes. I know if that would have happened to me and I knew we were a flying bomb to hit Washington DC, I too, would have tried to thwart the efforts. When you realize that the flight is doomed and you will not survive I would have done what I could to prevent that from happening. The rest of the evening and into the night the scenes were horrific. I even woke up in the early morning and turned on the television, perchance, that I had dreamed the whole thing. Our daughter was in Cleveland in college. My thoughts were of her safety. Phone lines were jammed, but she was safe in the dorm and the classes were canceled. My thought was to leave at a moments notice to go to Ohio to get her. She said that the weirdest thing was that the college town was in the flight path of Hopkins Airport and with the suspension of air traffic, the silence was deafening. Here is another of my dads retained paperwork. It lists his mother, Gertrude O’Rourke, and The Dowd side of the family. I think my father would be extremely interested in Genealogy and the information I have found. I wonder why he never told me of the documents he had squirreled away in the old file cabinet. Perhaps, he thought no one would be interested in them. I do have three mystery photographs. Beautiful woman, but who is she? No name on the back. It looks like they are all dressed up for a wedding. But, who are they? World War I soldier, Who is he? The only one I have found serving and killed in WWI is Owen Mulroy, the son of my Great Grandfathers sister Catherine DOWD Mulroy. Perhaps it is Owen. I have no picture to post, because there is not a tombstone. My great grandparents Thomas Dowd and Bridget Naughton are buried in BRADDOCK CATHOLIC CEMETERY I knew they did not have a tombstone and I wanted to purchase one for them. I just had to determine the dates. But with the new information about dates of birth and dates of death this project is on the back burner for now. I suppose I will have to start with the cemetery and see what dates they have. 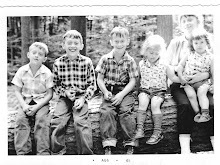 I have seen a few blogs out there for organizations and libraries and I have been contemplating perhaps we need one for our group; the Oakmont Genealogical Study Group. I talked to our president and she thought it was a good idea but she knew nothing of how to do that…..I do know. I just have to set it up but first I should talk to my cousin, who is in the same group, about the idea. Why do I think we need this? To give some exposure to our little group and hopefully it will enable us to gain more members. I just have to figure out how to allow all the members to post entries……I think it can be done, but, does everyone need to have a Gmail account to post. The meeting is the second Tuesday of every months and I will present my case then. I spent yesterday and today catching up with a lot of blogs. I enjoy reading every ones trials, tribulations and triumphs. But, what I did discover is a lot of people are feeling like me and seem not to have the motivation to post. They seem to be like me I want to do it but are having a problem getting things started. I hope this is temporary, and I am sure it is. Myself I have to get researching on my great grandparents Dowd and Naughton. I feel very deflated because I do not know who they are. My cousin did not offer any information, he thought the dates that I had were good. Guess he is puzzled too. Point number one, the dates of birth given on their marriage license. Point number two, the different dates on their death certificates and the parents names that are listed. I have to find siblings. This has been a problem for me. My father told me that his grandmother had a twin sister and he could not tell them apart. So, from that I know she was in the USA. For him to remember this information about Bridget and her sister the time line must be from 1925 (dad would have been seven) till 1939, the year Bridget died. There are two women (Norah and Catherine) whose names were Dowd they are of the same age group as my great grandfather. I found their marriage records, but Norah Dowd Finnerty is not in the 1930 census, so Norah died sometime between 1920 and 1930. Can I send for a ten year search? Catherine Dowd Mulroy is listed in the 1930 census as a widow. These woman and their families lived next door to each other on the same street as Thomas and Bridget. I check Ancestry.com newest records for the Western District of PA and can not find him there. I also have to make a list and go to the cemetery and see what else I can find. Perhaps on Tuesday. I think my malaise is caused by this conundrum. This was the diagram of my fathers, I think he was searching his family and trying to find who was buried in which plot. The records are not complete and I am still scratching my head. Jellyfish in the Tennessee Aquarium. My ancestors are making my head ache, so I posted a change.